The author of the Metro series has apologised to players who feel “misled” by the game’s move from Steam to the Epic Games store. Dmitry Glukhovsky posted a video to Instagram last night, empathising with disgruntled players but expressing his faith in both 4A’s development efforts and the game’s publisher, Deep Silver. Glukhovsky, who also worked as a narrative designer on the upcoming title, opens by saying that the Metro games are all “thanks to the support, help, and heroic efforts from the part of [developer] 4A.” He goes on to say that “I’m very sorry about those of you who wanted and expected the game to release on Steam, and were misled by the move by the publishers.” He does, however, say that he trusts Deep Silver’s decision to move the game’s initial release to the Epic Games store. The move has been the subject of significant controversy since it was announced last month. In protest, Steam users began review-bombing the two previous outings in the series, prompting one developer to suggest that a boycott could mean future Metro games may not come to PC at all. 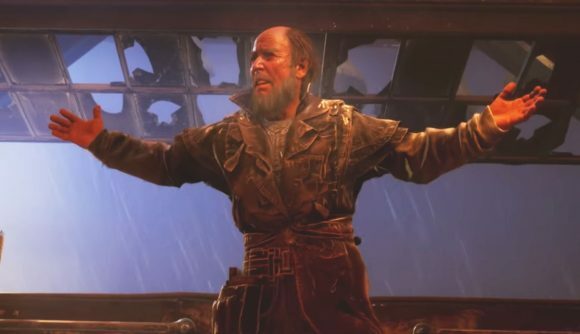 The Metro Exodus release date is February 15, so the game’s initial launch is just nine days away. What impact the move will have had on its sales remains to be seen, but let’s hope Glukhovsky’s statement has brought some naysayers around to the Epic store.